As teenagers, we were very pleasantly surprised to find this play both riveting and interesting, entwined with a didactic script as well as amazing scenes with beautiful props. It dispels all notions of Pinocchio as a kids’ cartoon, and replaces it with a play, full of creativity and masterful puppetry (with snapshots of comedy too). Pinocchio, played by Joe Idrid-Roberts, tells the story of a walking and talking puppet who has a dream of becoming real. On his quest to find out what makes humans human, we learn a lot about human nature through his journey of metaphors, especially that all good things come in moderation. In the beginning of the play, we are exposed to the lonely puppet maker, Geppeto. He lives a sad life, with his wife having died many years ago. Yet, one day a magical ‘blue fairy’ (played by Annette Mclaughin) delivers a supernatural trunk of wood, which Geppeto is ordered to construct a puppet boy. However, this puppet boy turns out to be lifelike, and can talk, and the puppet maker is astonished and thankful that he now has a child. Nonetheless, his “son”, Pinocchio, is led astray with his inquisitive mind. First, he rushes to the playground, where a group of schoolchildren are playing together. Immediately, Pinocchio’s desire to be human surfaces, and that is where his quest begins. When a wicked fox, played superbly played by David Langham, manipulates the vulnerable Pinocchio, by his claim of knowing what makes humans human, the naïve Pinocchio is easily persuaded and is led into weird and scary places such as Pleasure Island. Nevertheless, Pinocchio finds himself confused that he does not feel any more human, even though this is contrary to what he is being told by the fox. Throughout the play, we see the relationship building between Pinocchio and Jiminy Cricket (played by Audrey Brisson), the personified version of a conscience. As the play progresses, Pinocchio becomes more understanding of the consequences of his actions. One of the best scenes between the two characters, is when Jiminy Cricket questions Pinocchio about how he had landed up at the circus. When Pinocchio lies and says that his father approved of his rash decision, his nose enlarges. This resounding metaphor, that every lie becomes a blemish on the personality, really pays tribute to the thoughtful genius of the play. The climax of the play comes when, finally, Pinocchio goes on the adventure to find his father. They are told that his father was lost at sea, and it was rumoured that he had been eaten by the huge whale. Without question, Pinocchio dives into the sea and allows himself to be eaten by the whale, in devotion to his father. He is overjoyed when he is reunited with his father in the stomach of the whale, and when he exits from the whale, he finally understands that love makes humans human, and his love for his father turns him into a real person. To play along with the theme of Pinocchio the puppet, magical props such as enlarged heads were used with some of the characters. This further added the awe factor of the play. In addition to this, one of our favourite scenes included one life size whale made solely out of wood. As it glided across the stage it really did take one’s breath away. The actors all played magnificently, and their performance of this resounding play was flawless. With song and dance, the play is truly exciting and with such a great location, located really near Waterloo station, this performance is a must-see and that is why we are awarding it five-stars! Because of the frightening nature of the story, the show is recommended for over-eight year olds. 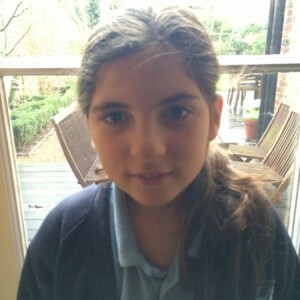 Hi, I’m Hattie - I’m 10 years old, and in my final year of primary school in London. For as long as I can remember, I’ve loved acting and the theatre, and participate in lots of drama groups during school and in the holidays. As a critic, I’ve started noticing different aspects of productions that I wouldn’t necessarily have seen, had I been just a regular member of the audience. As I develop my own acting skills and participate in different plays, I sometimes use some of the excellent techniques things I’ve learned from the plays I’ve been reviewing. I am so pleased to be a reviewer for Plays To See.